If you love the fresh air and beautiful vistas of the great outdoors you might want to consider a vacation with CLUB WYNDHAM®. From the beauty of Ozark Park to the rolling terrain of the Smoky Mountains, you'll find many great ways to enjoy nature. Book a vacation package today and get ready to enjoy the breathtaking beauty of some of the nation's most popular vacation destinations. 3 Days/2 Nights Local Area Hotel Accommodations. 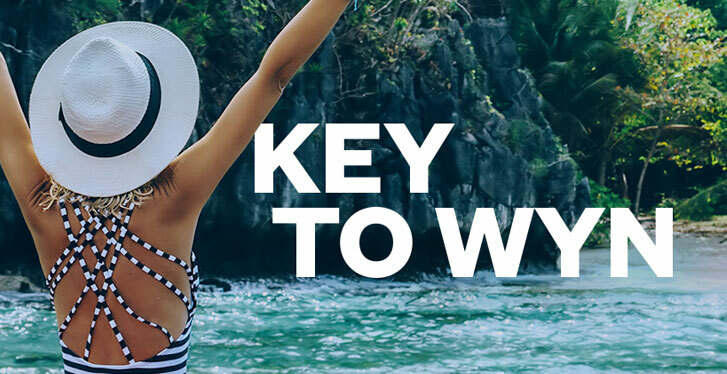 Receive A "Spend A Night on Us" rebate coupon for up to $100.00 cash back for a future one-night stay at any Wyndham Hotel Group destination in the U.S. booked through CLUB WYNDHAM Travel. Full details and redemption instructions will be provided on your rebate coupon. Eligibility requirements and Terms and Conditions apply. Destination depends on state of residence. If mountain trails, green forests and sparkling fishing lakes sound like your cup of tea, then you might want to try a vacation with CLUB WYNDHAM®. We offer vacations in places where you can really enjoy the great outdoors. There's more to Branson, Mo., than live entertainment. It's also a great place to take in the beauty of the Ozark Mountains. There are plenty of lakes where you can indulge in boating and swimming, plus you'll also enjoy some of the best fishing in Missouri. Spelunking through Marvel Cave is another popular pastime.